Calling all writers! You won’t want to miss this amazing resource. 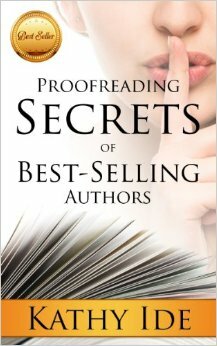 Between the beautiful cover, Kathy Ide provides everything you’ll need to proofread like a pro. I get so frustrated when I have to Google rules for grammar and spelling . . . Having this book next to my computer while I write, is such a blessing, and a time saver. Go grab your copy today! I turned 30 yesterday! I’m beyond blessed by all the amazing friends and encouragers that God has brought into my life and along on this journey with me! Weaving magic with our words. . .
Power of words (living!). . .
No pressure, but words have power–for good and evil. So, write wisely my friend! And make sure you proofread and edit your words so that people aren’t annoyed or turned off by what you’ve just said! My dad got me hooked to books–reading to me most nights, always doing the voices! I learned to read early–before I entered Kindergarten–and haven’t stopped. I’ve read thousands of books. Some good, bad, ugly…some GREAT and life-changing. I love EVERYTHING by Jane Austen–the quirky people and dialogue and actions have really influenced my fiction writing. I love snappy, quick, dialogue. Zinger! Terry Brooks and the Shannara series (which is one of the first books I remember my dad reading to me), Chronicles of Narnia, and Lord of the Rings have influenced my love of fantasy. So, which book or books are you a product of?